This year it offers 31 days of drama, film, comedy and dance. Venues are spread across Manchester and Salford, not really the Greater Manchester area: places such as Tameside, Rochdale and Bolton which are being destroyed by the economic downturn might appreciate being included in the future. Politics has not been ignored either as performance poet JB Barrington in his show, Words for Class Heroes, looks back in anger at the Thatcher era and spins words to recreate past eras of 70s dockers, 80s terrace fashion and the chemical cocktail of 90s North West. Colin Connor, who directed the popular Best show last year, is also taking us back in his play Meanwhile to 1980s’ Belfast, the volatile politics of Northern Ireland and a female football team who are looking for teenage kicks in more ways than one. New Model Theatre are premiering their new show Static which is challenging our digital reality lives and asks: can we live without the laptop, tablet and smartphone? Comedy is an essential part of the festival and there are free events such as the Worst Comedy Night in Salford at The Kings Arms in, well, of course, Salford, as well as Tiger Lounge Comedy with a number of better known comics, including Jonathan Mayor, David Stannier and Brennan Reece. Among all the performances there is a Kings Arms Vintage Fair where you can buy clothing, collectables and have a fancy afternoon tea. Yum. 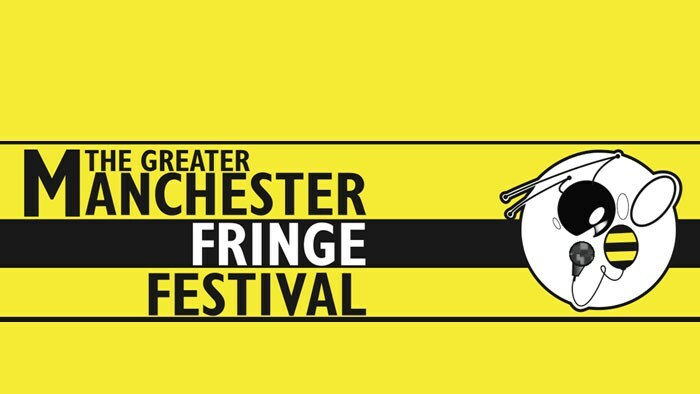 Festival director Gareth Kavanagh says: “Manchester is being recognised as one of the most vibrant fringe cities and we are pleased to have links with Camden Fringe and host several Edinburgh Festival previews.” The Festival is sponsored by Manchester City Council and Bury’s Outstanding Beers.